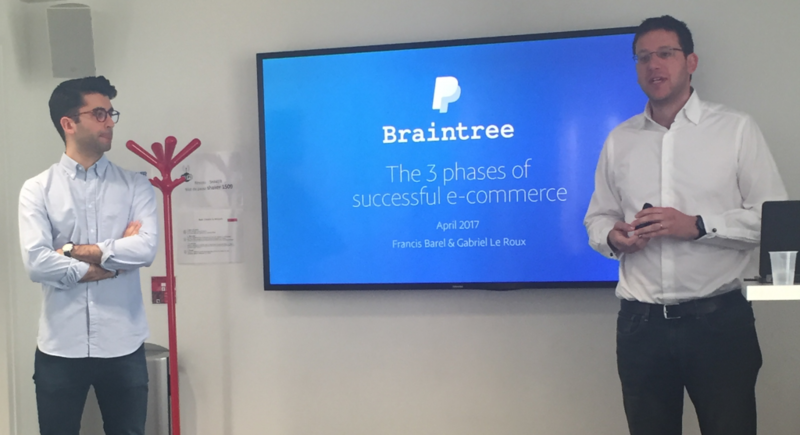 The Partech Shaker hosted Francis Barel, Head of Market Growth at PayPal, and Gabriel Leroux, Head of Startup Growth at Braintree, for a second Entrepreneurs’ Talk session on the key factors of success in the e-commerce industry. This second session of a three-part series focused on the topic of "Convert". The main objectives of the session were to: share the success factors of e and m-commerce, show the best-in class examples, and review B2C, B2B and app/web examples. Braintree, a subsidiary of PayPal since 2013, offers mobile and in-app payments solutions for ecommerce companies. PayPal was born online but despite its presence on the Internet, they did not offer recurrent in-app payment until they acquired Braintree. Francis Barel started with this quotation from the 1967 film “Cool Hand Luke”. It means that if you do not communicate well with your customer, you risk losing it. Stakes are high for ecommerce companies. On a website, you have numerous prospects but how do you keep them? According to a study conducted by Prestashop, out of 10,000 visitors to a website, only 60% advance to the product page. Many companies publicize a lead product (flyers, ads in the subway, etc.) but they don’t display the product on their homepage or the user has to click on several pages before finding the right product setting. The company should rather display the product on the homepage and with a single fit-to-all setting. Statistics show 34% of users consult their phone at night. People are spending more and more time on their mobile phone, yet buying trends are not commensurately reflecting this increase. We might ask what are the most efficient methods to convert more, to best capitalize on the presence of potential buyers? There is a shift in user behavior: due to its ease of use, mobile payments are preferred by consumers and it’s predicted that within the next year, half of today’s smartphone users will use mobile payments as their preferred method for transactions. Now, mobile is a given and contextual commerce is here. For example, with people spending an average of one hour per day on Facebook, it is now the most widely used mobile app. Consequently, commerce is changing and evolving from context vs intent, from mobile to in-context buying. Payments options are also changing: there are new payment interactions and new players constantly appearing (mobile wallets, online payments, online gifts and loyalty cards, etc.). Finally, as one click payment methods continue to improve, customers are now expecting them as standard. It’s becoming clear that every online business wanting to succeed and be competitive should be prepared to enter the next generation of payment options. 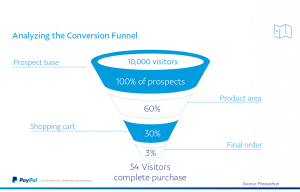 What does contextual commerce mean? Contextual commerce is the potentially game-changing idea that merchants can seamlessly implement purchase opportunities into everyday activities and natural environments. It means enabling merchants and online businesses to meet and connect with their users at the right time and at the right place. In other words, it enables consumers to make a transaction with their chosen brands in their preferred context (social network, blog, email…), without being taken to a payment page and suffering from friction experience. For instance, the “Buy” button in Pinterest helps maintain the experience within Pinterest and enables the buying act within the app. This is the same with Facebook and Uber in the USA: users can order an Uber within Facebook Messenger. - Paypal as one among other options at checkout –user’s choice – and in the corresponding currency. - Francs Barel emphasized the necessity of having a multilingual website and at a minimum the English version. - Similar Web was suggested as a tool that can help you know your competitors better. 1. Guest Login, whether on an app or on a website, 35% of users will leave the site if they’re asked to log in. In B2B, it is very easy to facilitate the subscription or pre-subscription without requiring too much information. You can ask for the email address of the prospect but not too early in the process. 2. Transparency: It is important to explain the next step clearly and succinctly to the user, i.e. : ‘flow visibility’. - Avoid all problems or obstacles that hinder the user from advancing easily to checkout. For instance, if the terms and conditions are displayed out of the page and the user cannot tick them, this could prevent him/her from completing the transaction. 3. Adapt to device: It is essential to have an interface adapted to the various devices (PC, mobile, tablet). Payment is taking time but you need to reduce the necessary steps at its most. For example a non-optimized process has 8 steps, 5 abandonment reasons and 3 redirections outside of the app (3DS interface or VisaSecure). What can you do to optimize the process? Credit Card validation: the card is automatically validated. Display the right keyboards: when a card is entered, it is not useful to display an alphabetic keyboard, a numeric keyboard will do the job! Store the payment methods immediately after the first payment (or even before such as with the Uber app!). Consider details and simplify life for users: if they have to enter only 2 numbers instead of more to enter the card’s details, they’ll gain time and you reduce the abandonment rate. For reduced prices like 99 cents or low cost shopping carts, it is not useful to offer 3DS (secure process). This will reduce the abandonment rate. If the delivery time is long, it leaves time to verify the identity of the user and it limits fraud. However, having the 3DS system activated, increases user’s confidence, so it depends on you activity and the amount of shopping carts. - Tokenization: you can save payment cards or PayPal accounts without storing sensitive date on your website (in case of hacking). You keep a series of numbers and the user keeps the other part, only when the user connects and wants to buy, do the two parts join and enable payment to be made. - Payment is a crucial step to consider in the user experience. It should be simple, fast and secure. - You must optimize today to be contextual tomorrow. In these current times expanding and selling abroad is essential. Take the example of ugmonk this US website has most of its customers in Australia, Canada and Europe. Break the barriers: with the IP address, you can personalize the home page, offer the right language and currency, and specify the customer’s location (or the countries where the customers are located). + You can offer free return with PayPal: there are no additional costs for the merchant and it lifts the psychological barrier of ordering abroad. - Customer empathy: you can create an emotional link with your customer by pairing your service with charitable action. For example, with every product purchased, TOMS will help a person in need. - Less is more: organize your website the most optimal and aesthetically pleasing way. For instance, archiduchesse’s colored socks are highlighted by a white background to provide a contrast effect that is not too visually noisy. - Always provide a rapid, unencumbered checkout. - If you have too many fields, you can lose customers (Too many fields equals losing customers). You don’t need to ask for the country when the IP address has already provided this information. Some countries do not have postal codes. If you do ask the postal code, provide the city automatically in a drop-down list. - Express checkout shortcut: This enables information to be automatically registered for the customer thanks to a partnership with PayPal. To conclude, continue optimizing your payment page! You can remember that your website has to provide delivery: you deliver a product and a promise, this a tight equilibrium between security and confidence. You liked this wrap-up? Join the Entrepreneurs' Talk MeetUp group and don't miss any of our next events!